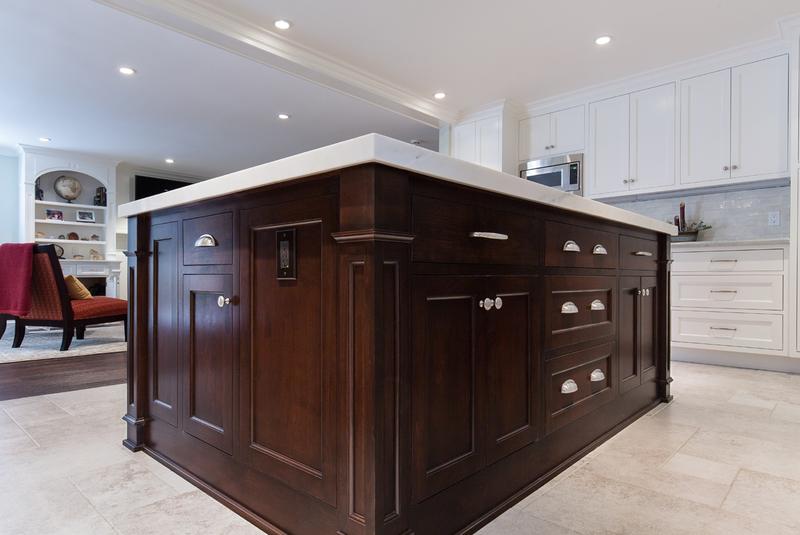 A close up of the island shows the storage and the finish details. The dark stain work and corner columns give it a grand feel. Glazed porcelain floor tile in Versailles patternA Craftsman revial with bar height island.